Monday was World Intellectual Property Day, and Professor David Schwartz and I just published on op-ed piece in the Chicago Daily Law Bulletin on the impact of empirical research on IP. See the article below. For centuries, intellectual property law has attempted to encourage people to create new inventions and works of authorship. It does this by granting inventors and authors exclusive rights to their creations for certain time periods. Yet, patent and copyright must strike a balance between incentivizing new works and protecting others’ opportunities to use and build upon those works. In doing so, IP law has long relied on a variety of untested assumptions about the way people — and especially creators and judges — behave. Some of these assumptions are based on the principles of classical economics, while others are simply common-sense intuitions. Recently, however, legal scholars have started putting these assumptions to the test. By combing through massive datasets and running laboratory experiments, scholars can apply social science methods to legal issues. Much of the empirical evidence suggests that some of IP’s most fundamental assumptions may require radical revision. The Illinois Institute of Technology Board of Trustees has approved the appointment of Richard W. Wright as a Distinguished Professor of Law at Chicago-Kent College of Law. Distinguished professor is the highest faculty rank at the university, and is reserved for a small number of senior faculty members, nominated by their own faculties and deans and approved by a university-wide committee of existing distinguished professors and chairs. 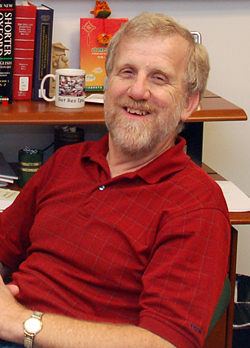 A member of the Chicago-Kent faculty since 1985, Professor Wright’s teaching and research focus on domestic and comparative tort law, jurisprudence, law and economics, and law and artificial intelligence. Prior to joining the Chicago-Kent faculty, he was a member of the faculty of the Benjamin N. Cardozo School of Law at Yeshiva University, where he received the Monrad G. Paulsen Award for outstanding contributions to legal education. The classic news cycle of a political story – from substance to process – appears to be taking hold of the biggest financial story of the day. Commentators are redirecting their intense scrutiny of the SEC’s announcement of charges against Goldman Sachs toward the SEC’s decision to charge Goldman Sachs. The turning point from text to metatext in this story occurred with Bloomberg’s report that the Commission split 3-2, when the two Republican appointees – Kathleen Casey and Troy Paredes – dissented from the Commission’s decision to bring an enforcement action against Goldman. disclosure. On the enactment of new rules for money market funds earlier this year, Casey dissented alone. And, just a few years ago, Commissioners Cynthia Glassman and Paul Atkins dissented very publicly from new hedge fund regulations. Professor Bernadette Atuahene has just posted three exciting papers on property law and justice to ssrn. Click on the titles to download the papers. The conception of property that a transitional state adopts is critically important because it affects the state’s ability to transform society. The classic conception of property gives property rights a certain sanctity that allows owners to have near absolute control of their property. But, the sanctity given to property rights has made land reform difficult and can serve as a sanctuary for enduring inequality. This is particularly true in countries where ownership is contested and land reform is essential due to pervasive past property theft. Oddly, the classical conception is flourishing in transitional states, like South Africa and Namibia, where transformation of the property status quo is essential. The specific question this Article addresses is: for states where past property dispossession threatens to destabilize the current state, is the classical conception appropriate or do these states require an alternative conception of real property? In this Article, I develop the transformative conception of real property to explore how the exigent need for societal transformation should inspire us to rethink property rights. Transitional justice is the study of those mechanisms employed by communities, states and the international community to deal with a legacy of systematic human rights abuses and authoritarianism in order to promote social reconstruction. There is a well developed transitional justice literature on how states can deal with past violations of civil and political rights, which discusses the value of truth commissions, and international and domestic prosecutions. The transitional justice literature on how to deal with past violations of property rights, however, is significantly less developed. The goal of this essay is to begin an important conversation about how transitional states can deal with multiple layers of past land dispossession in order to promote social reconstruction. I discuss the strengths and weakness of a state’s three main options: Maintaining the present property status quo, fully or partially returning to a prior status quo, or creating a new property status quo altogether. I argue that a state should decide which option it will choose in the context of a well-informed, inclusive public dialogue rather than through a less time consuming process involving only elites. Past property theft is a volatile political issue that has threatened to destabilize many nascent democracies. How does a state avoid present-day property-related disobedience when past property theft causes a significant number of people to believe that the current property distribution is illegitimate? To explore this question, I first define legitimacy and past property theft relying on empirical understandings of the concepts. Second, I establish the relationship between a highly unequal property distribution that the general population views as illegitimate, and property-related disobedience. Third, I describe the three ways a state can achieve stability when faced with an illegitimate property distribution: by using its coercive powers, by attempting to change people's beliefs about the legitimacy of the property distribution, or by enacting a Legitimacy Enhancing Compensation Program (LECP), which strengthens the average citizen's belief that she ought to comply with the law. Fourth, I develop the legitimacy deficit model, which is a rational choice model that suggests when a state should enact a LECP to avoid property-related disobedience, which can devolve into broader instability. To best promote long-term stability, I argue that states should, at the very least, enact a LECP as the cost of illegitimacy begins to outweigh the cost of compensation. Lastly, since many of the model's relevant costs are subjective, I suggest a process states should use to determine and weigh the costs. In sum, the Article is intended to spark a debate about how compensation for past property theft can keep things from falling apart. 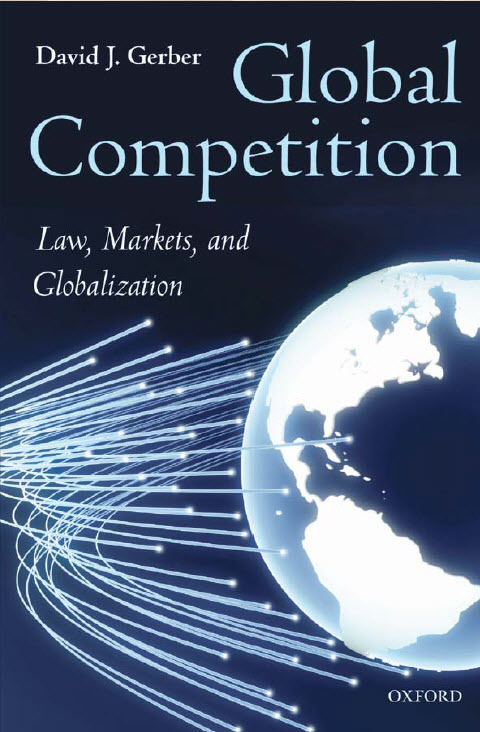 Global competition now shapes economies and societies in ways unimaginable only a few years ago, and competition (or ‘antitrust’) law is a key component of the legal framework for global competition. These laws are intended to protect competition from distortion and restraint, and on the national level they reflect the relationships between markets, their participants, and those affected by them. The current legal framework for the global economy is provided, however, by national laws and institutions. This means that those few governments that have sufficient ‘power’ to apply their laws to conduct outside their own territory provide the norms of global competition. This has long meant that the US (and, more recently, the EU) structure global competition, but China and other countries are increasingly using their economic and political leverage to apply their own competition laws to global markets. The result is increasing uncertainty, costs, and conflicts that burden global economic development. 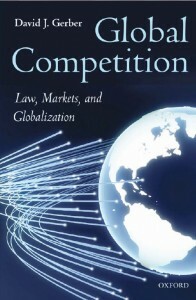 This book examines competition law on the global level and reveals its often complex and little-understood dynamics. It focuses on the interactions between national and international legal regimes that are central to these dynamics and a key to understanding them. Part I examines the evolution of the current global system, the factors that have shaped it, how it operates today, and recent efforts to alter that system-e.g., by including competition law in the WTO. Part II focuses on national competition law systems, revealing how national laws and experiences shape global competition law dynamics and how global factors, in turn, shape national laws and experiences. It examines the central roles of US and European law and experience, and it also pays close attention to countries such as China that are playing increasingly important roles in the global competition law arena. Part III analyzes current strategies for improving the legal framework for global competition and identifies the factors that may contribute to a system that more effectively supports global economic and political development. This analysis also suggests a pathway for moving toward that goal. Click here to download a flyer to purchase the book at a 20% discount. 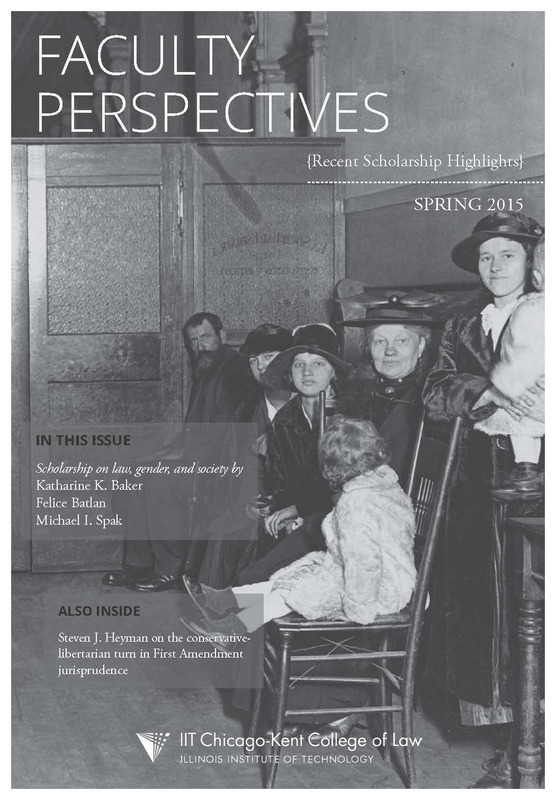 This piece provides an in-depth review and analysis of two recent books about Supreme Court law clerks, Courtiers of the Marble Palace: The Rise and Influence of the Supreme Court Law Clerk, by Todd C. Peppers, and Sorcerers’ Apprentices: 100 Years of Law Clerks at the United States Supreme Court, by Artemus Ward and David L. Weiden. In addition, however, the essay addresses a question so obvious that it is rarely asked – why is there so much curiosity about Supreme Court law clerks in the first place? In the essay, I analyze a widespread concern – and one discussed in both books – that law clerks have “too much” influence or even that they are the real decisionmakers on the Court. I argue that in fact this concern is a proxy for two important questions: how does the Court decide what cases to take and what role does (and should) ideology play in the work of the Supreme Court. With respect to the process of selecting cases to review on the merits – the certiorari (cert) process – I argue that a careful analysis of the process reveals that the likelihood is quite low that the Court denies cert petitions the justices would grant if they reviewed the petitions themselves instead of relying largely on their law clerks. I also argue that with respect to the cert process, the Court’s extreme secrecy does not serve it well. More information about how the process works and why the Court denies or grants cert in particular cases or types of cases would benefit the not only the bar and the public, but also the Court itself. Second, I argue that concern about undue ideological influence by law clerks is really a displaced anxiety about the much thornier question of the appropriate role of ideology in Supreme Court judging. This anxiety arises in part from mixed messages about whether the Court is a political entity making important decisions about subjects on which there may not be social consensus or whether it is, as Chief Justice Roberts put it at his confirmation hearings, a neutral umpire calling balls and strikes. People seek to alleviate their anxiety by trying to figure out how the justices do their work – leading to the intense curiosity about what law clerks do. More candor about the inherently political nature of at least some of the Court’s work might not entirely eliminate the anxiety, but it would refocus it from the largely tangential question of law clerk influence onto difficult but crucial questions about the relationship between Supreme Court jurisprudence and ideology and about the proper role of the Court in our democracy. The earthquake that struck Chile on February 27 destroyed Maria’s home completely, leaving the young, single mother homeless. Fortunately, both Maria and her daughter survived the calamity. Unfortunately, they now had to figure out how to survive in their devastated city of Concepción. During the week immediately after the earthquake Concepcion’s economy collapsed and food and water were hard to find. Many in the city resorted to looting and rummaging through what was left in the destroyed stores to feed their children and themselves. At one point, Chile’s quasi-military police, the carabineros, reasoned that they could not stop the looting, so they simply gave orders for an “orderly” hunt: women with children first, young males last, and no taking of non-necessaries, such as LCD TVs. Eventually, Maria found a place to shield her daughter and herself from the elements, a tent that the Red Cross and other charities built. However, the tent was not enough to protect Maria’s daughter form catching a pulmonary infection as a result of the cold and damp living conditions. About ten days after the earthquake, when public transit was partially restored in Concepción, Maria ventured into the downtown to show up at the small clothing store where she worked. 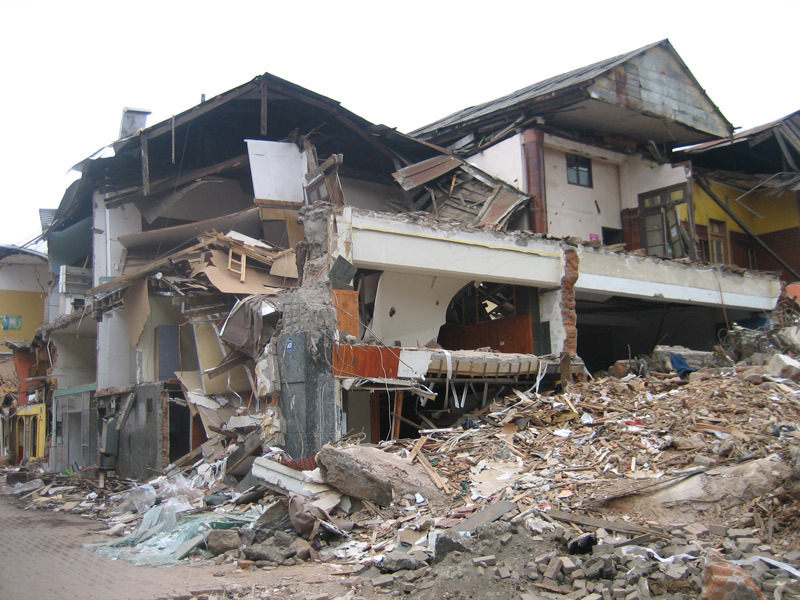 She found rubble everywhere on the street and sidewalk leading to the mall where the clothing store was located. A sign that read something on the lines of, “Enter at your own risk” stood in front of the mall. The mall owners would not make themselves responsible for any injuries suffered by anyone in the premises including employees, and requested that any and all entrants sign a form acknowledging their assumption of the risk. Moreover, as she approached the mall, a carabinero questioned Maria on her motives for entering the mall and told her that she had no business being in there. Concepción was under a curfew as a result of the looting and carabineros and military personnel had swarmed the once bustling commercial city center to enforce it. Seeing the, “Enter at your own risk” sign and the wrecked conditions of the city, in addition to the harassing tone of the carabinero, Maria desisted from entering the mall and went back to her tent in the outskirts of the city to tend her sick child. Maria was now not only homeless but also unemployed and with a sick child in a disaster zone. In the fortnight since the Supreme Court announced its decision in Jones v. Harris on March 30, 2010, the parties and the media have loudly declared victory for both sides in the dispute. In this lawsuit alleging that an investment advisor charged excessive fees for managing investors’ mutual funds, the advisory industry has claimed victory because the Supreme Court generally endorsed a legal test – the Gartenberg standard – that led to almost total success for defendants over the past twenty-five years. Investors, on the other hand, have pointed out that the Court tweaked the Gartenberg standard to give it a far more plaintiff-friendly twist. So, how do we tell who actually won? With Justice Stevens signaling that he is likely to step down at the end of this current Supreme Court Term, speculation about who President Obama might appoint to replace him is legion. Rather than join in that speculation, however, I want to raise the question of the role of ideology in judging, particularly on the Supreme Court, and the disingenuous way that ideology is discussed – or rather, disavowed – during confirmation hearings. Chief Justice Roberts’ invocations of “neutral umpires” notwithstanding, judging is not a science. There is often no “right” answer to a question – especially to the types of questions confronted by the Supreme Court – in the sense that there is no answer that can be arrived at through the use of pure logic. Such questions might involve the meaning of the Due Process Clause, the scope of the Equal Protection Clause, or the application of a precedent like Brown v. Board of Education to contemporary efforts by school districts to voluntarily integrate. The key legal texts – the Constitution and Brown itself – do not inherently provide an answer. A justice must apply some kind of understanding of the broader meaning of those texts. Doing so is not illegitimately activist. It is inevitable. This does not mean that justices should simply impose their policy preferences without regard to legal sources and arguments, but it does mean that the justice’s priors – her beliefs, experiences, and views – may play a role in the analysis of those sources and arguments. I am hardly the first to point this out. (Judge Posner’s recent book, How Judges Think, addresses this question in some depth.) But in light of the (likely) upcoming confirmation hearings, the point bears emphasizing. What we are likely to see is that whoever Obama nominates will be attacked as too ideological by at least some Republicans. And if the last several confirmation hearings are any guide, the nominee will disavow any role for political judgments in the judicial role. It is my hope, however, that we will see something else. I believe that it would better serve the country and the Court for a nominee to discuss the way in which such judgments do sometimes come into play, to explain that that such judgments are at times both inevitable and legitimate, and to show that they are often part and parcel of legal analysis. Perhaps most importantly, I would like to hear a nominee describe how he or she would acknowledge the presence of such political judgments without acting as an ideologue or allowing ideology to trump law. What we have now is, in my view, the worst of all possible worlds. There is a reality – often acknowledged during presidential elections – that a president is likely to appoint justices whose views are generally consistent with his own. And we have the reality – clear to anyone who is paying attention – that the Supreme Court often (although certainly not always) splits along predictable ideological lines. But during the confirmation process, we have a widespread pretense that judging is a purely neutral intellectual exercise. I certainly understand how we have come to this point, but I believe that it is bad for our democracy and bad for the Court’s legitimacy. It may be fruitless to hope for a more candid discussion in today’s hyper-partisan environment, with routine Republican filibusters of even low-level presidential nominees. But it is nonetheless the discussion that I would like to see. Informational privacy is a matter of control; it consists in the ability to control when one’s personal information is collected, how it is used, and to whom it is distributed. The degree of control we once enjoyed has vanished. Advances in information processing technology now give others considerable power to determine when personal information is collected, how it is used, and to it is whom distributed. Privacy advocates sound the alarm in regard to both the governmental and private sectors. I focus exclusively on the later. Relying on the extensive privacy advocate literature, I assume we should try to regain control over private sector information process. The question is how. I reject the claim that we can do so by requiring businesses to obtain consent – or more accurately to go through the motions of obtaining consent – prior to collecting personal information. I contend that adequate informational privacy requires a rich background of informational norms. Informational norms are social norms that constrain the collection, use, and distribution of personal information. Under ideal conditions, norm-governed exchanges not only implement acceptable tradeoffs between informational privacy and competing goals, they also ensure consumers give free and informed consent to those tradeoffs. The restriction to ideal conditions does not deprive the point of interest; rather, it shows that the interest is normative, not empirical. The ideal conditions are a goal we should strive to approximate in practice. Unfortunately current practice fails to adequately approximate this ideal in significant cases. Lack of norms is one important reason. The rapid advance in information processing technology has outstripped the relatively slow evolution of social norms in a wide range of important cases.